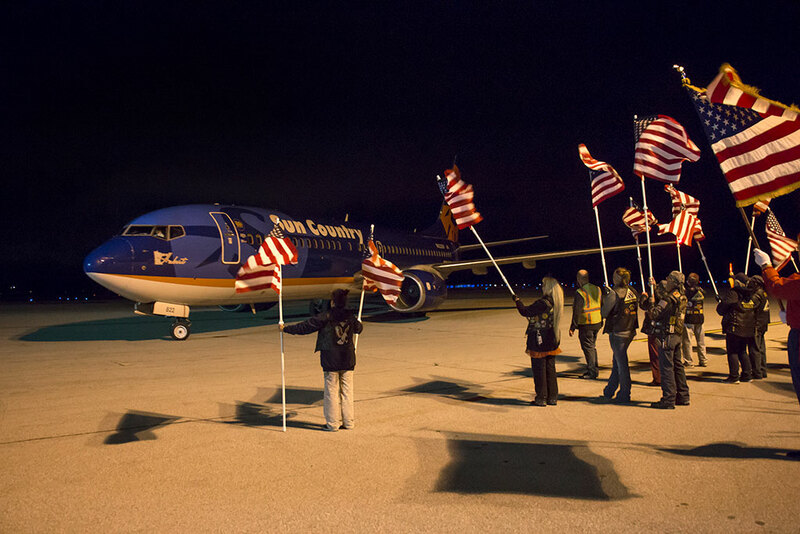 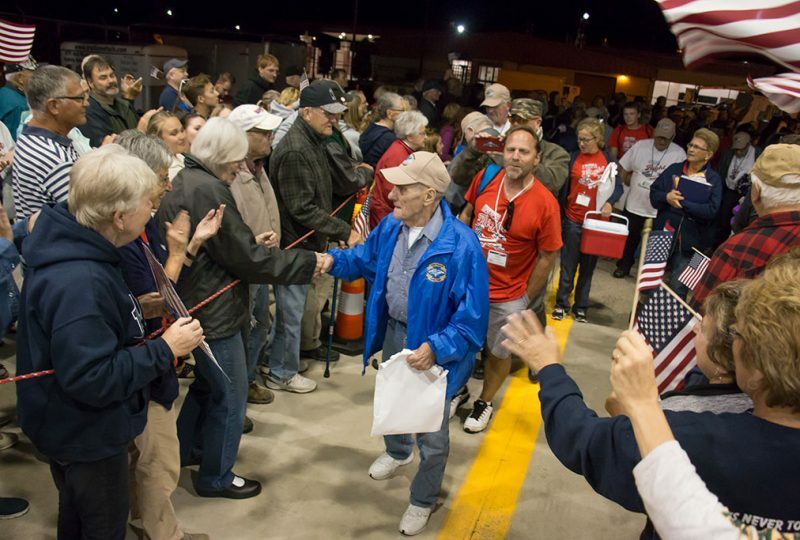 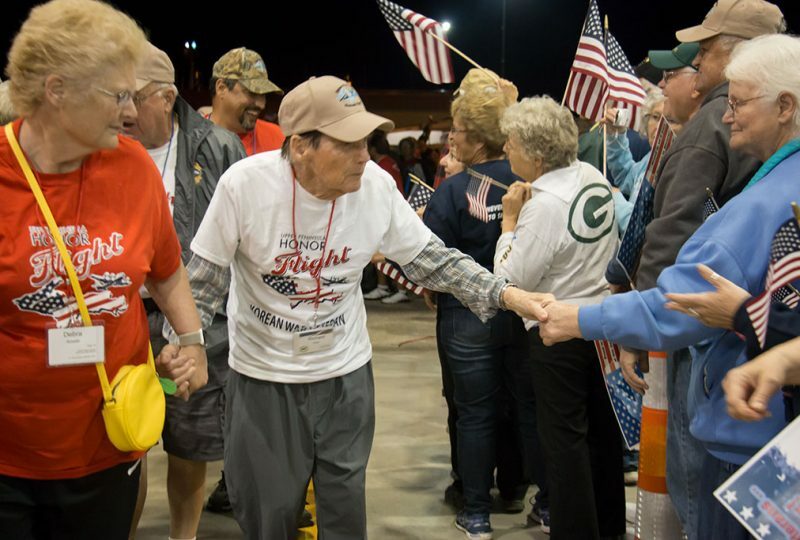 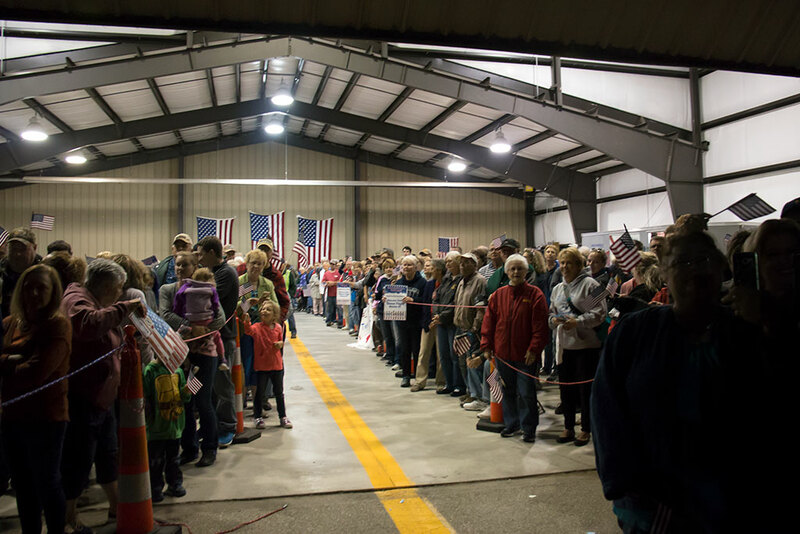 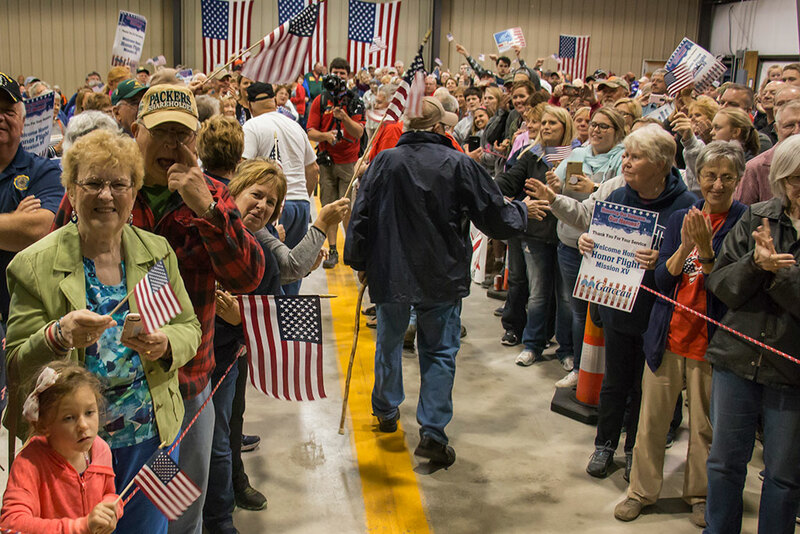 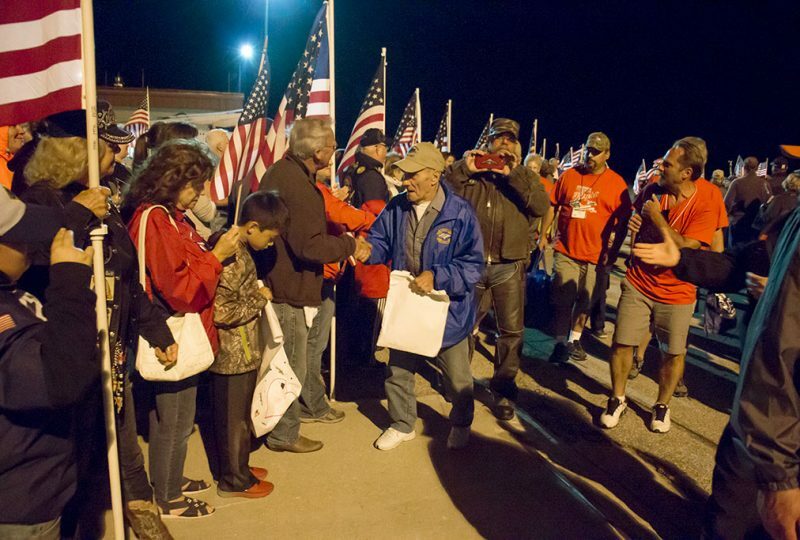 ESCANABA — A cheering crowd greeted the 84 veterans on the Upper Peninsula Honor Flight as they got off the plane Tuesday night at the Delta County Airport. 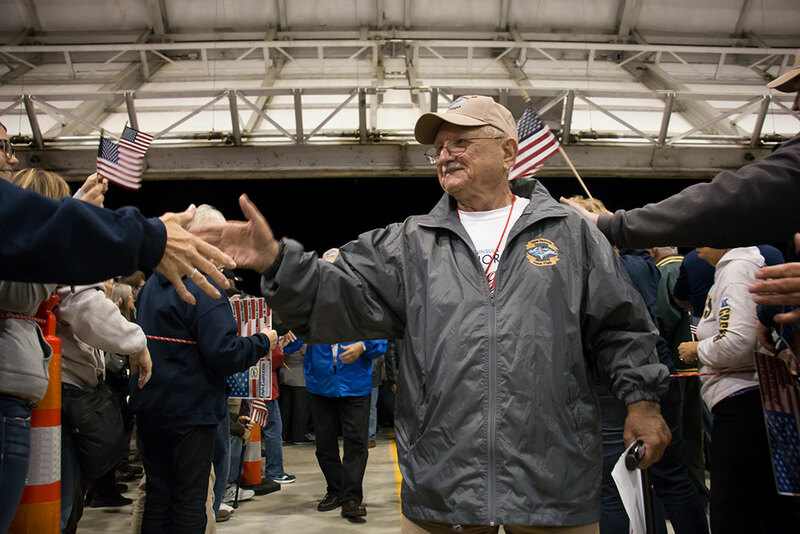 John Ornatowski of Rapid River was in the U,S, Army in the 32nd Airborne from 1957 to 60. 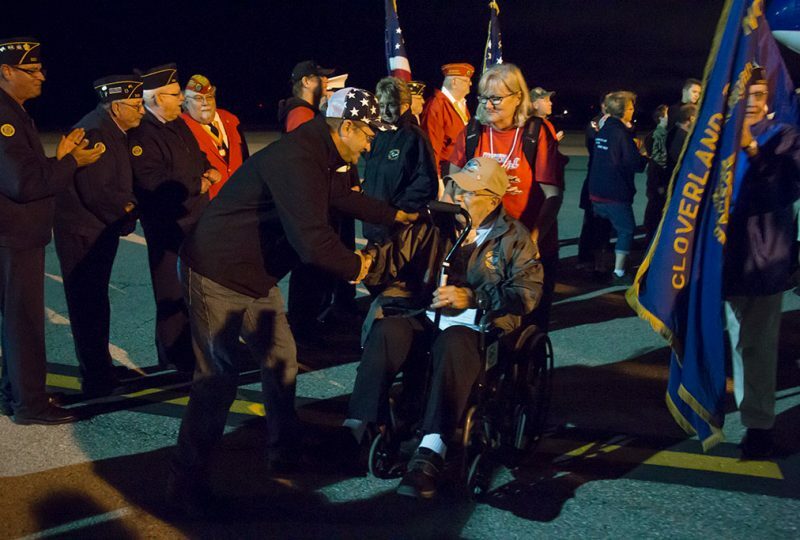 He said the trip to Washington DC yesterday was enjoyable and humbling. 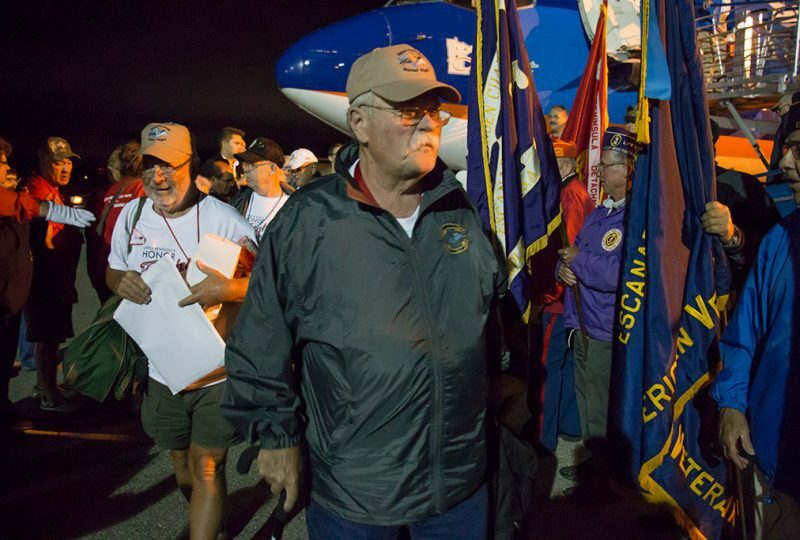 “I liked the Vietnam wall but I enjoyed the honor guard that the Air Force had there. 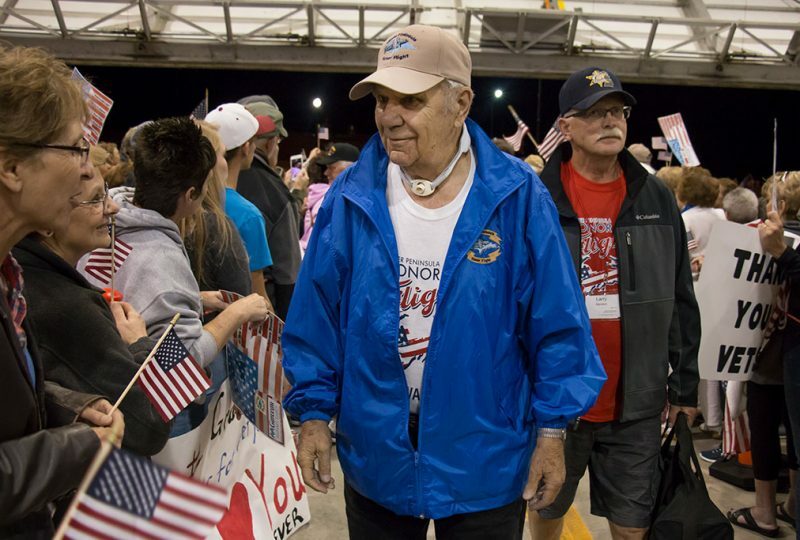 That was very colorful,” said Ornatowski. 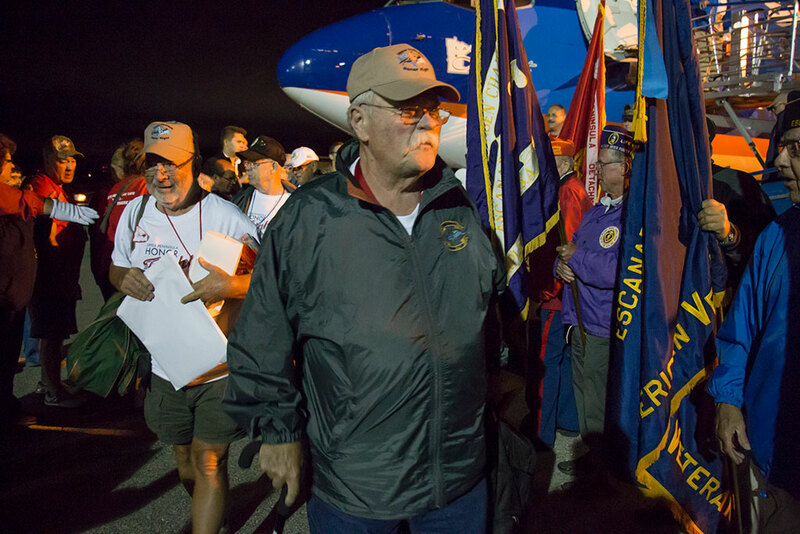 The day the honor flight visited Washington D.C. was the 70th anniversary of the Air Force. The Honor Guard Drill Team performed at the U.S. Air Force Memorial. Bob Swanson of Marquette also enjoyed the trip yesterday. He served in the U.S. Marine Corp during Vietnam. His favorite part of the trip? Swanson and the others walked from plane to the hanger as hundreds of people cheered, waved signs and shook their hands as they walked by. Among those to greet the veterans as they got off the plane last night was Staff Sargent Joseph Francfort, a recruiter for the U.S. Marines. 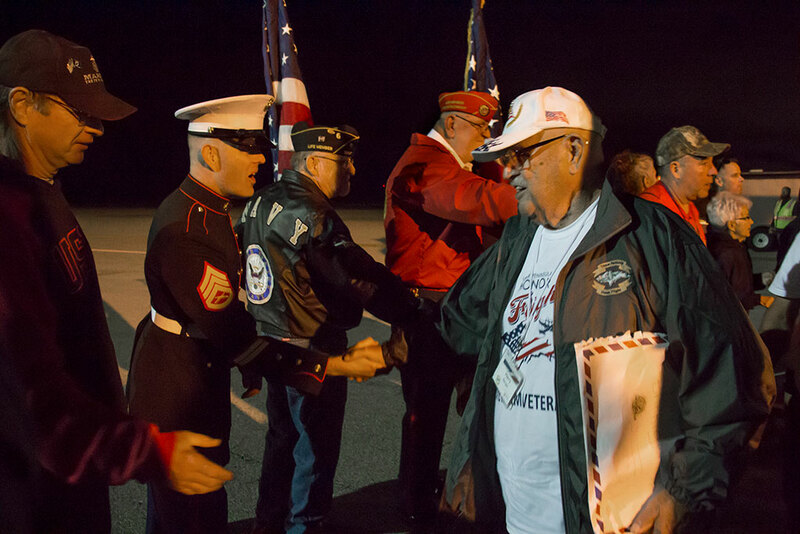 He said it was important for him to shake their hands as they returned home. “These gentlemen have done so much for this country. And I think some of them, they didn’t receive the reception or the recognition that they deserved when they came home. 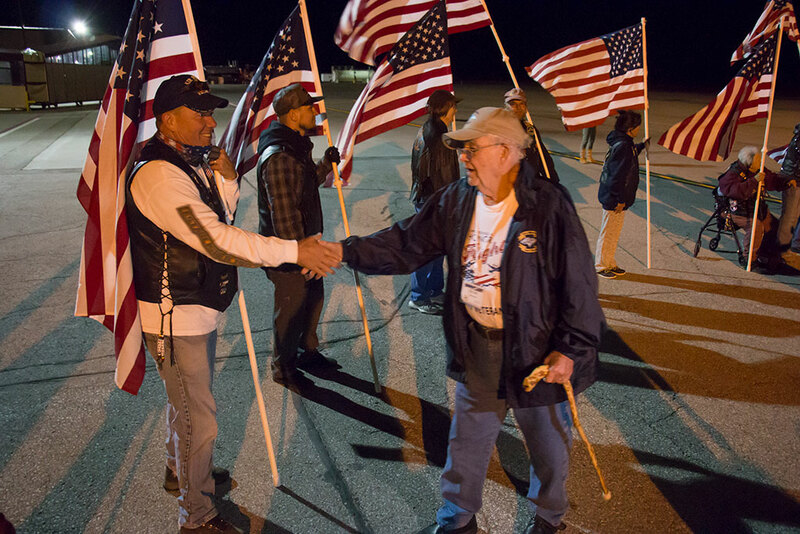 So I think this is a way of paying it forward and giving them the opportunity to see just how important they are to this nation and this community,” Francort said. 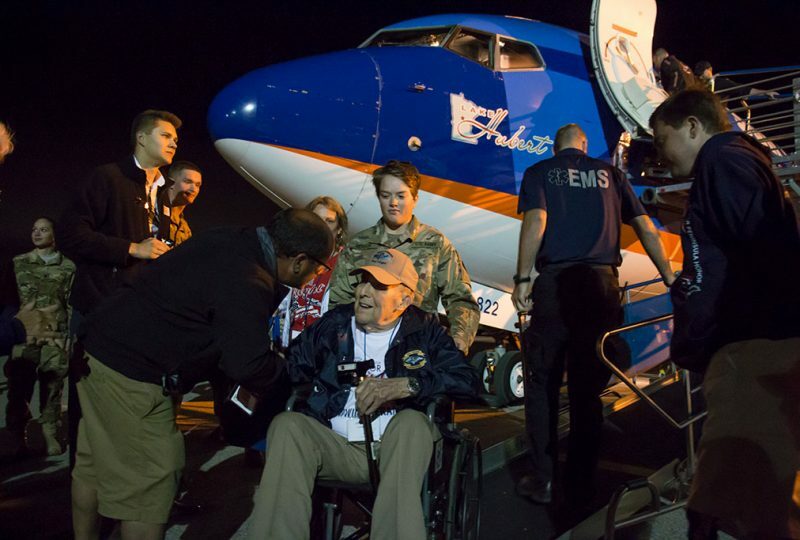 Francfort was also at the airport before the plane left early yesterday morning. He traded stories with the veterans telling them of his own experiences in Afghanistan, Syria and Iraq. 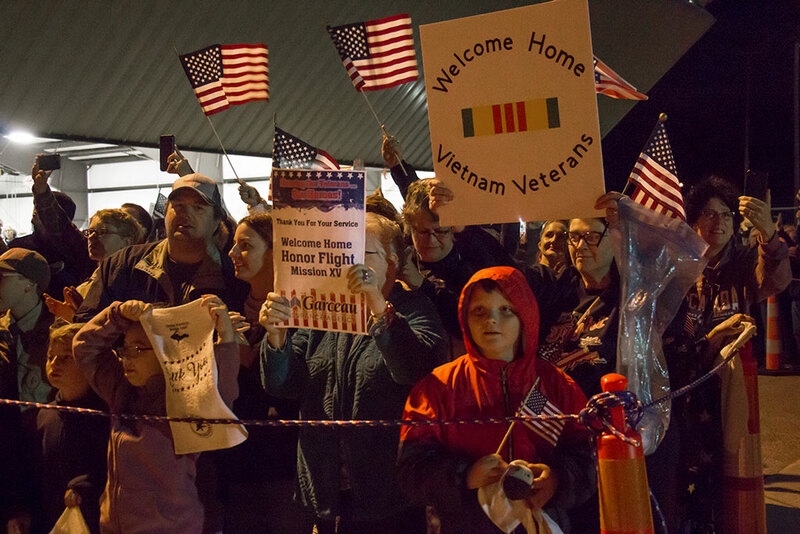 Organizer Scott Knauf said the welcome home at the Delta County Airport is an important part of the event. 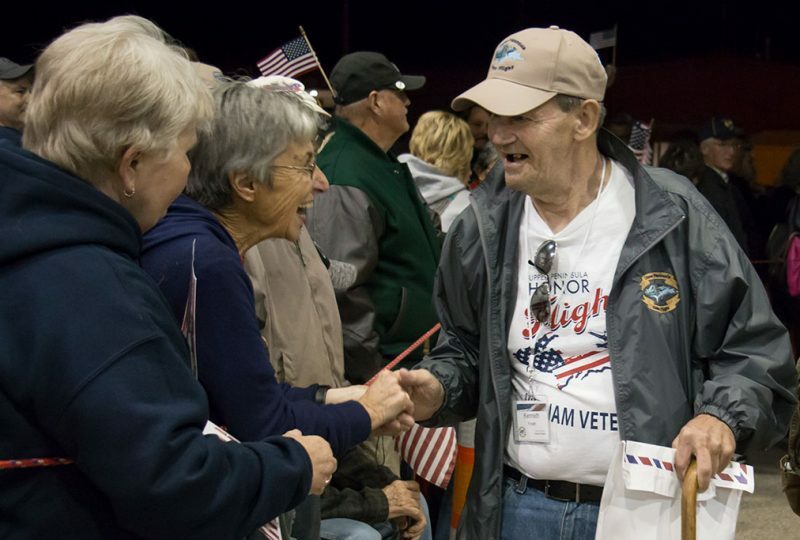 He said the veterans really appreciate the reception they receive. 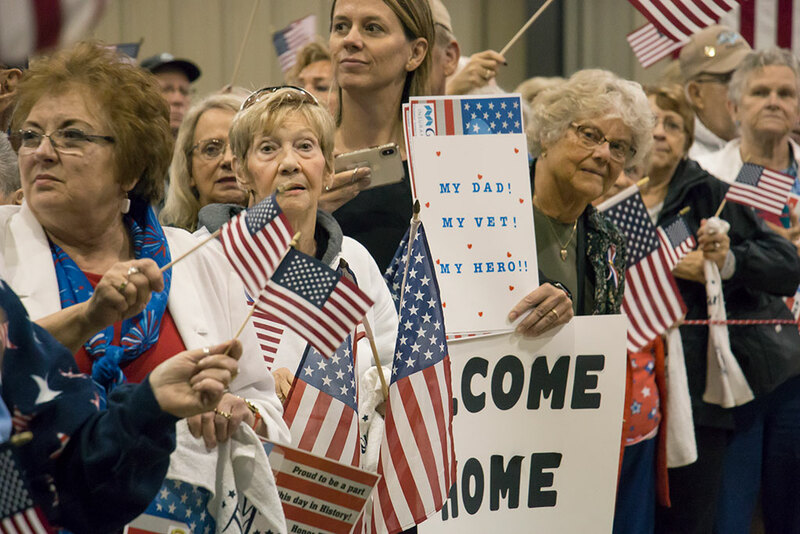 “If you think you are just waving a flag or a sign to welcome home this veterans you don’t realize how it is affecting these veterans. They love that. 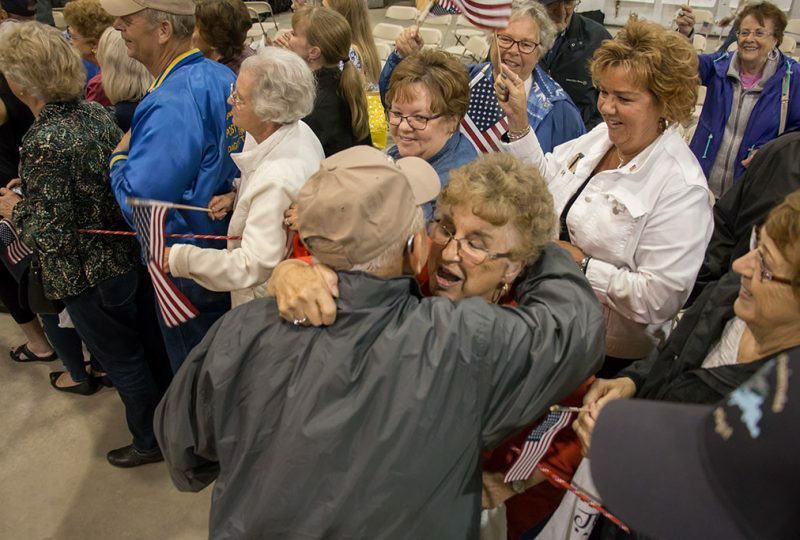 They can’t get over it,” Knauf said. 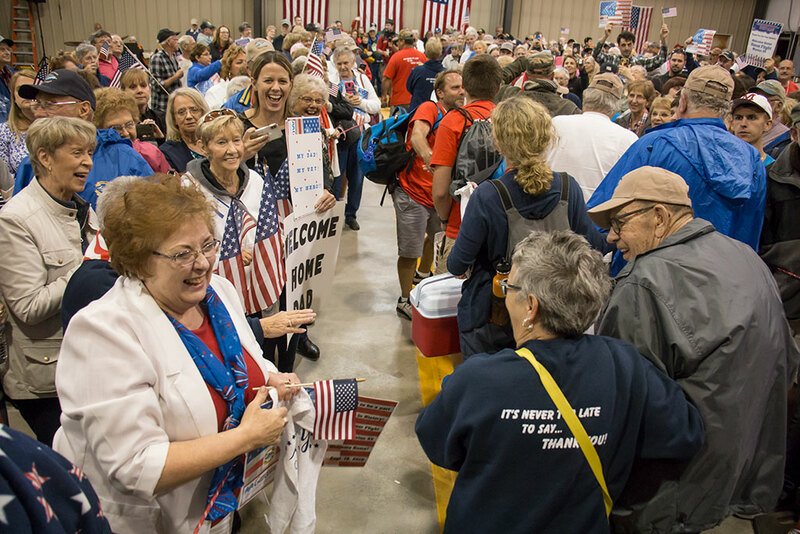 The next trip is planned for May 2019. Share the post "Welcome Home event affects veterans on Upper Peninsula Honor Flight"